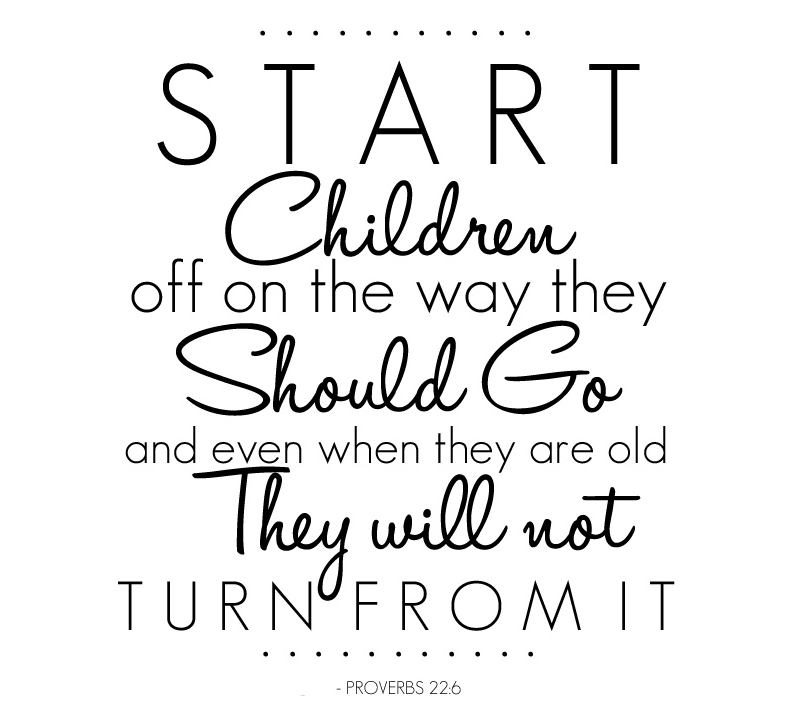 I have been thinking a lot lately about how I want my children to behave. Not behave as in, No Temper Tantrums, Please but more so how I want to see my children behave as people of the world. It's hard to make a "game plan" as to how you want to raise your children because, dude, on some days, I am doing whatever I can to make it through... and I only have one for now! But I am starting to become more conscious of how my actions are molding my child; how he sees what we do and mimics it. For now, it's simple things like opening doors but soon it will be behaviors and in the way that he treats people... I am certainly not going to get all preachy on you guys but I wanted to put out there, sort of a mission statement, on what I want to teach my children, so that they become good citizens of the world. 1. To have a good, kind, giving heart: The other day, one of the baby's daycare teachers said "I think Wesley will be a good big brother. He is so helpful." Now, I know the kid is 13 months old and "helpful" is a stretch but I am already seeing signs that he could be a "natural". I want for my children to not think about being a kind hearted person. I want it to come naturally. I want it to go beyond being polite to people. I want my children to be thoughtful of others whether it be classmates, teachers, siblings and even their parents. If my husband and I can teach them to stop and think about someone else, it will become habit and then a part of who they are. It can be hard (and thankless) to be this type of person but these are the type of people that I like to surround myself with and that overall, can make the world a better place (clicheeeeeeeeeeee)! 2. To be an individual: Kids today are growing up in a world that is vastly different from the one that I grew up in. The internet is a game changer and there are more ways than ever for people to hurt each other with words. Bullying has gone to the next level and if a kid doesn't conform to the "norm" then they might be made fun of. I am not going to lie that I think about it every day, that my child could be considered "uncool" by someone else, then made to feel like less of a person... but I don't want this to stop my children from becoming individuals with robust interests and to embrace what it is that they like to do. If my child wants to read books upon books or join marching band or do yoga with his Mom (a girl can dream), I want to encourage that. It might be tough to navigate if there are instances where hurt feelings are at play but if I help build my children up to be strong individuals, who embrace what they love and are confident, then tough patches can be dealt with. 3. To be understanding of people's differences:Differences are very different, go figure. In light of recent tragic events, that have been racially driven, I think it's more important than ever to teach our children about diversity, speaking candidly (and age appropriately, obviously) when questions are posed. Children yearn to learn, mostly by asking a bazillion questions. When those questions start coming at me about things that could be considered "taboo" or "sensitive", it is up to us to broach the topic with the sensitivity that it needs while also helping our kids to understand the importance of what they are learning. Yeah, it's going to be a tough one, but as a responsible mother, I need to commit to being the good, giving, kind hearted person (as mentioned in #1) that I want my children to be. I want my kids to be the ones to lead this country forward, not drag it back. Other differences that my children can encounter, will also bring questions. Why is that person in a wheel chair? Why does that person have dog with them? Why does that person speak funny? Why don't they look like us? Why? Why? Why? I don't have answers to all these questions yet but I am going to stick to the truth. Every one in this world is different from one another, and that is what makes us special. Treat everyone with kindness and understanding. Try not to judge because you don't know what struggles people have dealt with or are currently dealing with. 4. To be a volunteer: I can't tell you how good it makes me feel to volunteer. Sometimes I ask myself if I volunteer because I like to look like a "goodie goodie" but deep down, I know how I feel when I am all done. I feel like I did something worthwhile, something that made a difference. Some days it's hard to feel like you are doing something worth doing, especially when it's just one of your usual days (eat, work, sleep, repeat) but finding a good deed to put your heart into, can help you find a different perspective on things. I recently volunteered for the Special Olympics Summer games in MA. I did it by myself while my husband stayed home with the baby but the next time I do it, we are doing it together. I saw small families all over, with their volunteer shirts, making a day of being around to help. To me, it was a great lesson in "you can't start them too young." I met a mother and her two teenage boys who had been volunteering together for 7 years. This Mom had her 17 + 19 year old sons still volunteering with her at 7am on a Saturday morning, 7 years later. She was one of many of my heroes on that AM shift. I mean, teenage boys up that early on a Saturday? Bravo, Mama, Bravo! I want my kids to want to help out. It could be working a shift at a food pantry or volunteering to help someone with their groceries. It feels good to help people and feeling good, well, it feels good. 5. To love and love to have fun: Life is short (clicheeeeeeeeeeeee) and I don't want my family to spend our time together being bummers. We are going to go out and do things together. We are going to love each other and love to spend time together. There will be times where this will not always be the case but I want our foundation to be strong, for us to always want to come back together for holidays + birthdays + Summer BBQs together. Some would argue that love and loving to have fun can't be taught, but this is one of those things that you lead by example, so that's what I intend on doing. My children won't be perfect but then no one is. All I can do is try to help them learn what is best along the way and to do my best to lead by example, even though some days I may barely be able to keep it together. What I want is to have raised good people and I'm gonna have to put a little work into it. Do you have any wood you want to throw on the proverbial, child rearing fire? numbers three and four YES and YES. so good. i absolutely agree. i think about the differences one a lot, how to teach that and how to exemplify it -- but the volunteer one i had never really thought of until you said it, but you are so right. you're such a good mama.